A prison monitoring board chairman has been suspended by a government minister after speaking to the press about allegations of bullying. Faith Spear claims she was being “bullied” into standing down from her post on Hollesley Bay Prison’s Independent Monitoring Board – denied by the board – after she wrote what was perceived as a critical essay on the state of the prison monitoring system in annual publication The Prisons Handbook. Writing under the pseudonym Daisy Mallet, Spear described herself as a “whistleblower without a whistle” in her article and outlined her view that the prisoner monitoring system must be more professional, more transparent and attract younger members if there is to be progress over prisoners’ rehabilitation. Colleagues on the voluntary board for the Suffolk prison found out she was the author and have demanded her resignation, she has claimed. It is understood she did not seek approval from the board for her article. 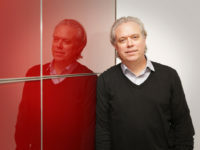 Spear, of Ipswich, has filed an official complaint about the matter with the Ministry of Justice, which is still ongoing. However after speaking with East Anglian Daily Times and Ipswich Star reporter Colin Adwent about the allegations last week she has been suspended by Prisons Minister Andrew Selous for misconduct. Crime correspondent Adwent, who spoke with Spear and published the report on her allegations, told Press Gazette: “At a time when we are all told that information is a lot more freely available than it ever has been, to seemingly try to deter the chairman of a board that is representative of the public – who is trying to improve a public institution, i.e. a prison, and trying to help rehabilitate prisoners in preparation for them to go back into the public domain – from talking to the press seems highly ironic. Spear told Press Gazette said the letter informing her of her suspension had come “totally out of the blue”. She added: “It’s ridiculous – why does everything have to be so secret?” and confirmed she would be challenging the suspension. 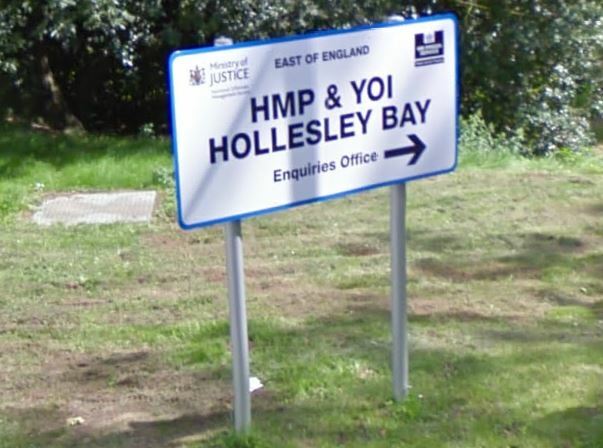 Hollesley Bay is an open men’s prison in Woodbridge that also houes young offenders. The Ministry of Justice website describes it as “an outward looking modern institution”. An MoJ spokesman said: “There is an ongoing investigation into Hollesley Bay Independent Monitoring Board. No conclusions have been made and it would be inappropriate to comment further at this stage. “As with all public appointments, a member of staff can be suspended during an investigation. If no wrongdoing is found they will be reinstated. This is a typical reaction from the so called establishment. They can’t stand being found out or to be proved wrong! They prefer to blame others, their system works they would have us believe. Yet prison fatalities violence and assaults to prisoners and staff have increased since stupid cutbacks. It is a totally corrupt system we have and a gross kick in the face when the establishment try to pass the blame to others like the poor ole gov or deputy! It is a disgrace to have so many I suspect part innocent propl yes people banded up when they cold be and mostly would want to assist and help out in the community. 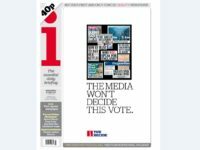 The establishment best look to the past for a well tried and tested solution. When the prisoners were located locally and at a quarter of the price, have them out in the community righting their wrongs to society by what ever the victim wanted as a punishment usually to assist with everyday tasks. The Tories are those who least sleep at night, as they are the same who bang up people not requiring stupid security measures. For those to comment on the violent fella, of course a totally different set of rules apply, but make sure those less fortunate can still be turned around … Treat a human like a wild animal, and what do you end up with.? A WILD ANIMAL WITH VENGENCE AND PAYBACK FOR TAKING THEIR LAST SPECK OF SELF. Let them with no guilt cast the the first stone. There is no one who has not broken the law at some time, even to trivial as a sweet paper.